AV36210 / 36211 Portable Transmission Line and Antenna Analyzer Product Overview Adopting new techniques like advanced radio frequency and microwave hybrid integration design, broadband and fundamental wave mixing, digital IF processing and intelligent power management, etc. AV36210/36211 Portable Transmission Line and Antenna Analyzer has advantages of wide measuring frequency band, high measurement accuracy, small size, light weight and battery power and so on and can measure return loss, standing wave ratio (SWR), impedance, DTF (discontinuity point fixing), etc. 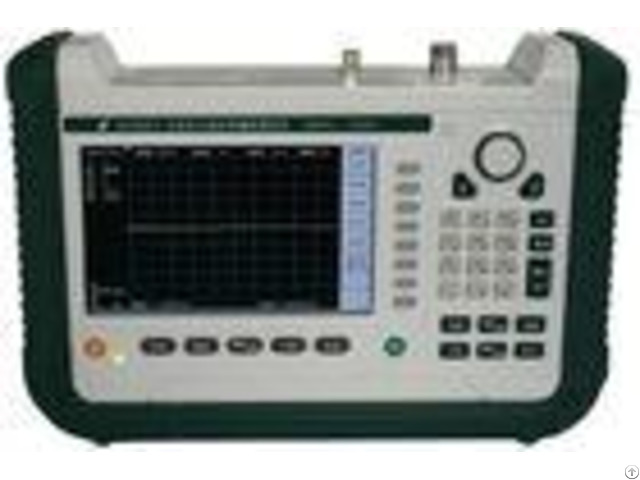 network parameters, suitable for measurement of standing wave ratio of cable, antenna and transmission line, etc. in field, as well as measurement of reflection parameters of radio frequency and microwave parts in scientific research and teaching. Main Features Wide frequency range. 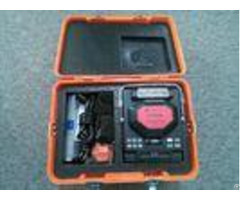 AV36210 Portable Transmission Line and Antenna Analyzer has a frequency range of 1MHz~4GHz and AV36211 Portable Transmission Line and Antenna Analyzer has a frequency range of 50MHz~18GHz, meeting the measurement requirements of most communication and radar equipment. High measuring speed. 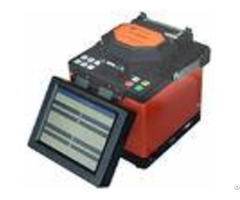 The top measuring speed as high as 1ms/point increases by 10 times compared with the last generation product, thus saving your measurement time. Support extended memory. Internal memory enables storage of over 200 traces (that may be different depending on the number of measuring points); meanwhile the external USB memory is also supported to expand memory space. Convenient connection with the computer. It is convenient to connect with the computer through USB interface to enable upload and download of traces in memory from computer. Large-capacity battery may enable the unit to run for over 4 hours continuously. 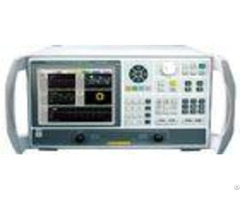 Technical Specifications - - - - Model & Name Technical Index | AV36210/36211 Portable Transmission Line and Antenna Analyzer | Frequency Range | 1MHz~4GHz/50MHz~18GHz | Frequency Accuracy | 2*10-6 | Frequency Resolution | 1kHz | Measurement Parameters | Standing-wave ratio, return loss, cable loss, impedance and DTF (fault location) | Effective Directivity | >38dB (<4GHz), >32dB (4GHz~18GHz) | Measuring Range of Return Loss Display | 0.00~100.00dB | Measuring Resolution of Return Loss | 0.01dB | Measuring Range of Standing Wave Ratio Display | 1.00~65.00 | Measuring Resolution of Standing Wave Ratio | 0.01 | DTF Measuring Range | 0 ~ (number of measuring points-1)*DTF measuring resolution | DTF Measuring Resolution | 1.5*108*Vp / (F2-F1) In which, Vp is the transmission factor of device under test, F1 is the start frequency, and F2 is the stop frequency | Measuring Speed | Top speed is 1ms/frequency point | Number of Measuring Points | 2~1, 001 points | Operating Temp. | -10~ +50 | Weight | About 2.5kg/3kg | - - - - Order Information Base unit: AV36210/36211 Transmission Line and Antenna Analyzer Standard configuration: - - - - Item | Description | Quantity | Standard Accessories | Power cord | 1 | AC-DC power adapter | 1 | Battery (built in main unit) | 1 | User's Guide | 1 | CD | 1 | USB Cable | 1 | - - - - Options - - - - No. | Description | Model | Remarks | 1 | Lithium ion battery | | Battery power | 2 | Calibration kit | AV31102A/AV31101A | Test | 3 | Port extension cable | | Test | 4 | Soft bag | | Portable | 5 | Hard shipping case | | Package for transport | - - - - Frequency Domain Reflectometer (FDR) Frequency Domain Reflectometer (FDR) is similar to Time Domain Reflectometer (TDR) in the name, and both are used for measurement of transmission line. TDR sends excitation signal of DC pulse which can be used to measure the On/Off and off position of a cable but is insensitive to RF problems that may result in fault and performance degradation of RF communication equipment. While FDR adopts sweep signal for measurement, by getting time domain specification through complex mathematical operation, it may detect sight performance degradation of RF in system so as to do timely maintenance, thereby saving high maintenance cost of damage due to delayed repair of RF cable. In the maintenance process of line, it is very helpful to compare measuring curves of the same line in different periods, you may find the variation of line health status through which and give timely maintenance. Posted By: Wuhan Huajin Co., Ltd.
Business Description: More than a decade, the company in the process of security and protection products and related products exports, has accumulated rich experience, has won the good reputation. We will wholeheartedly provide you with quality products and efficient service.